Matilda Marie (Kroeker) Reimer "Tillie"
Matilda Marie( Kroeker) Reimer "Tillie" was born in Enid, Oklahoma on January 7th, 1927 to Bernhardt and Sarah (Grunau) Kroeker. She attended the Enid Mennonite Brethren Church and Red Rock School, a one room schoolhouse. She graduated High School in Kremlin, Oklahoma in 1945. After 1 year of attending Enid Business College she transferred to Pacific Bible Institute "PBI", where she met her best friend and husband Raymond Reimer. They were married August 21, 1948. They lived in Kingsburg, California attending the Kingsburg Mennonite Brethren Church until 1993, when they moved to North Idaho where she lived and attended the Hayden Lake Friends Church until 2017. She lost her husband to Cancer in 1996 while serving with a volunteer organization in Everett, Washington. Matilda moved with Bruce and Darby to Yelm, Washington in 2017. She moved to her current residence in Heaven on January 17, 2019 at the age of 92. She is survived by her two sons, Bruce Reimer and Mike Reimer. Their wives Darby and Vanda, 4 grandchildren, 7 great-grandchildren, nieces, nephews and many friends. 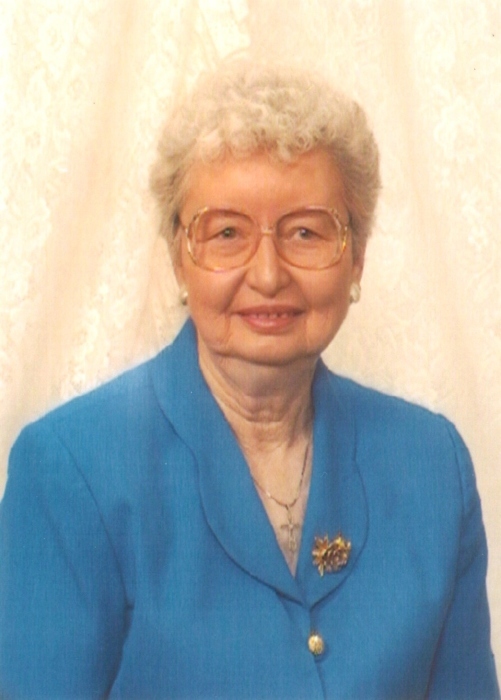 Tillie served her Lord and Savior, Jesus Christ, her entire adult life, leaving behind an example for us to follow. There will be a Memorial Service held on Saturday February 9th at 1:00PM at English Funeral Chapel, 1133 N. Fourth Street Coeur d' Alene, ID.